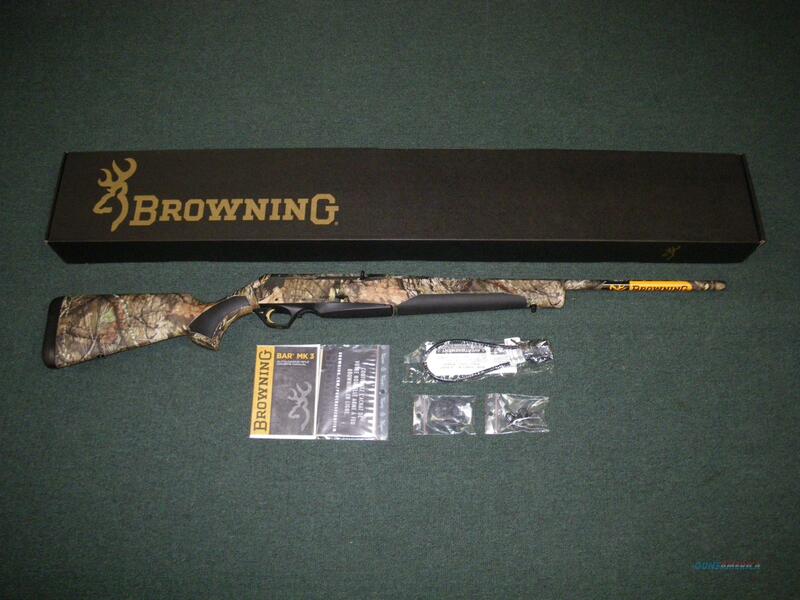 Description: You are bidding on a new Browning BAR Mk3 Mossy Oak Break-Up Country in 30-06 Springfield with a 22" barrel. This rifle is newly designed for 2016 and comes with a lightweight, aircraft grade alloy receiver, drilled and tapped for scope mounts. The composite black stock and matte black finish reduce glare and provide great weather resistance in any condition. The hammer forged barrel accurately puts rounds downrange. Displayed images are stock photos. Any questions please feel free to ask (our phone number is in the additional information tab above).